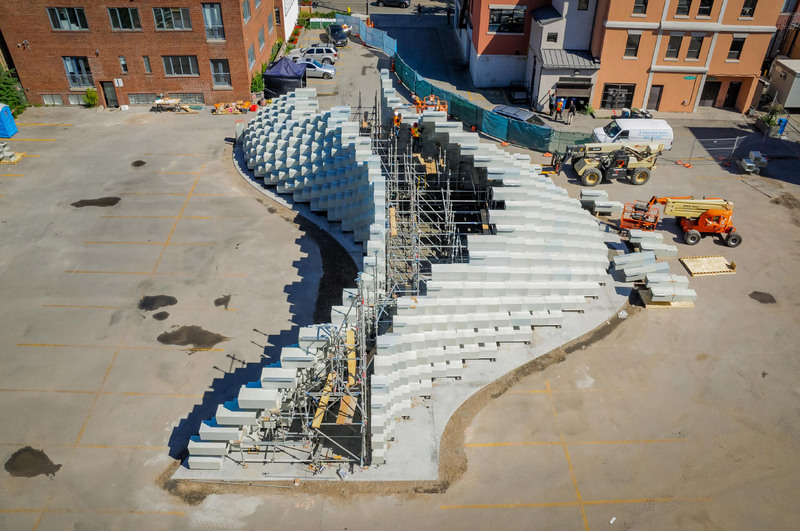 The Bjarke Ingels Group’s (BIG) 2016 summer Serpentine Pavilion, an unzipped exploration of the flat wall, has made an intercontinental leap to Toronto and is set to open in September. During the day visitors will be able to explore an architectural exhibition titled Unzipped, curated by BIG, inside of the “unzipped wall,” and at night talks and events will be hosted by developer and owner Westbank. The curvilinear pavilion will be reconstructed to its original size: 88.5 feet long, 39 feet wide, and 49 feet tall. BIG’s design for the structure began with a two-dimensional wall, and then “pulled it apart” from the base to form the vaulted event space. Rather than the traditional brick, BIG stacked extruded fiberglass frames to allow sunlight inside, a material-structure-daylighting confluence also seen in Frida Escobedo’s 2018 Serpentine Pavilion. The soaring interior evokes the awesomeness of sacred interiors, but here, visitors are encouraged to get comfortable and climb on the outside of the installation. The unzipped wall is currently being installed at the intersection of King and Brant Streets, directly in front of BIG and Westbank’s mixed-use King Street West development. 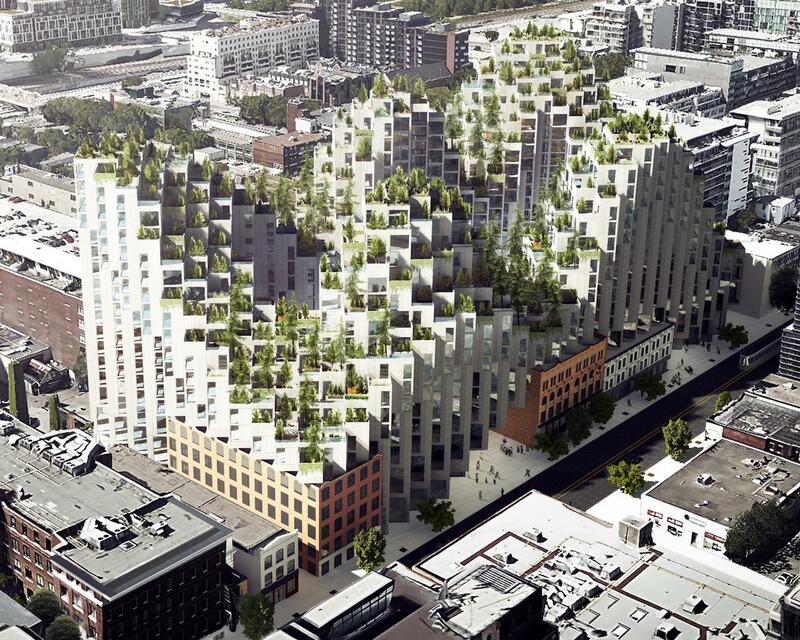 The stepped building will resemble the pavilion, as the development also uses cascading, angled units to maximize sunlight exposure. 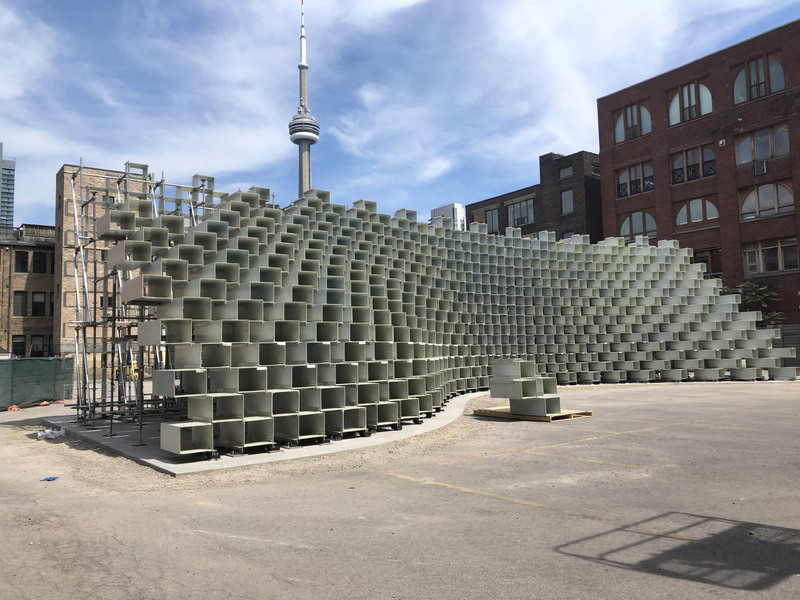 The installation will remain at its current location until November of this year, but Toronto is only the first stop in the pavilion’s multi-city tour across Canada. The structure will ultimately land on the West Coast in front of Westbank’s Shaw Tower on the Vancouver waterfront. 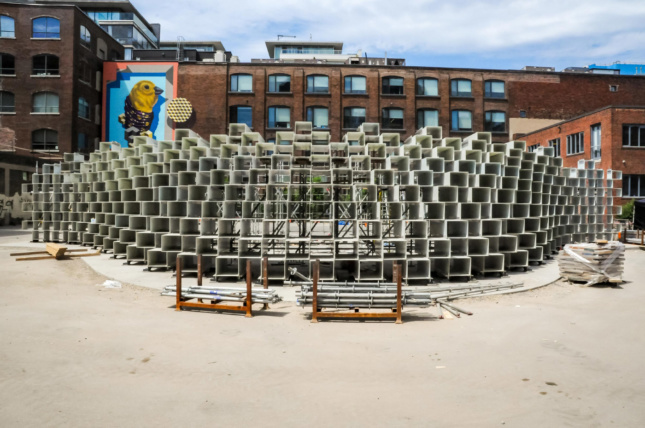 Serpentine Pavilions are sold after the summer season ends and leave London’s Hyde Park for homes all over the world. Last year’s pavilion, a swooping saucer that loomed over triangularly-patterned walls from Diébédo Francis Kéré, was purchased by Ilham Gallery in Kuala Lumpur and will likely end up in the Malaysian capital city. Smiljan Radic’s fiberglass pebble from 2014 landed on the Hauser & Wirth art campus, located on Durslade Farm in Bruton, England, and SelgasCano’s plastic polygonal color show from 2015 is slated for a second life in Los Angeles. And what about Zaha Hadid’s original tent from the show’s first year in 2000? The multi-gabled pavilion eventually became a public gathering place (and frequent wedding venue) at Flambards Theme Park in Helston, Cornwall.